Robert (“Rob”) Rose joined the Cook County Land Bank Authority in March 2015, where he is responsible for the Authority’s day-to-day activities and all staff; and will be responsible for managing the Land Bank’s multi-million dollar budget. Rob has a strong vision for the future of the region, and the ability to execute that vision among diverse stakeholders. This vision is bolstered by his extensive background in finance, underwriting, real estate and community development. Rob comes to the Cook County Land Bank Authority from the Chicago Community Loan Fund where he served as Chief Operating Officer. Prior to that, he managed a $170 million loan portfolio as Director of Commercial Real Estate for Urban Partnership Bank. Rob also has worked for apartment developer Lynd and for GE Capital. He has an MBA from Cornell University in Ithaca, N.Y., and an undergraduate business degree from St. Edward’s University in Austin, Texas. Darlene A. Dugo joined the Cook County Land Bank Authority in July 2016. She is responsible for overseeing property acquisition and disposition, and developing new strategies to assist the CCLBA acquire new properties and ready these properties for productive use. In this role, she works with other CCLBA staff and outside developers and private and public stakeholders. In her position, Darlene also provides strategic leadership to the organization as part of the senior management team. 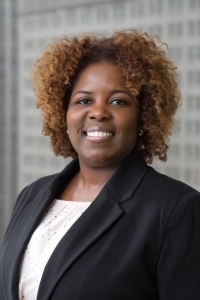 Darlene comes to the Cook County Land Bank Authority from Mercy Portfolio Services, a subsidiary of Mercy Housing, Inc. where she served (2009-2016) as Vice President responsible for operations, management, and oversight of the City of Chicago’s $168 Million Neighborhood Stabilization Program (NSP) Award. 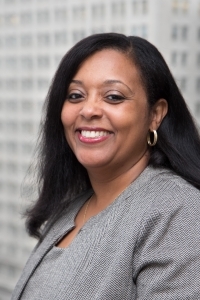 For more than a decade-and-a-half before joining Mercy Portfolio Services, Darlene served as Regional Director, Housing and Community Development for Fannie Mae. Darlene was responsible for business development activities and operations for an 18-state Central Region with 20 Community Business Centers. Working through these centers, she helped to build public and private partnerships with lenders, developers, not-for-profits, housing finance authorities and municipalities. Darlene received a Master’s of Science in Communications from Northwestern University, and a Bachelor of Arts with a concentration in Finance from DePaul University. She is a licensed Illinois Real Estate Managing Broker. 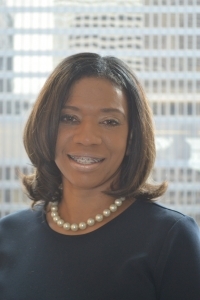 Natasha M. Cornog serves as Executive Assistant, where she provides support to the Executive Director and CCLBA staff over administrative, financial, and procedural matters. Natasha joined the CCLBA in June, 2014. 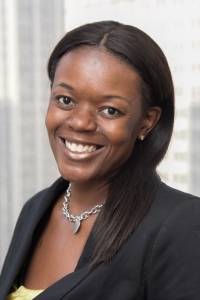 Natasha previously served at Cook County Planning and Development Department for 12 years, helping to create affordable housing, working in coordination with developers, contractors and municipalities as it relates to the development process, and providing project management of construction budgets and disbursements. 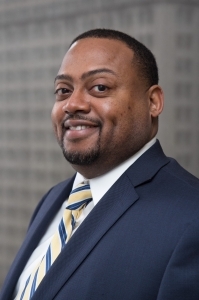 Alex Simmons was hired as the CCLBA’s Planning Analyst and is responsible for conducting research, supporting strategic property acquisitions, and serving as the CCLBA’s liaison to planning projects and coalitions in Cook County. He is also responsible for maintaining the CCLBA’s website and providing ArcGIS and other spatial mapping analyses. Prior to joining the CCLBA, Alex served as the Assistant Planner for the Village of Machesney Park, Illinois, where he conducted plan and building reviews, supervised the ArcGIS Department, and served as the primary zoning official for the Village. 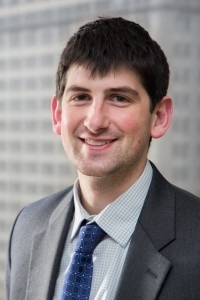 Prior to working at the Village, Alex was Planning Associate at Teska Associates, Inc., where he worked on a myriad of planning projects including but not limited to comprehensive planning, TIF, TOD, economic development, and corridor planning. Alex received his Dual Master’s in Urban Design & Urban Planning from the University of Michigan in 2011, and his Bachelor of Arts in European History in 2008, also from the University of Michigan. 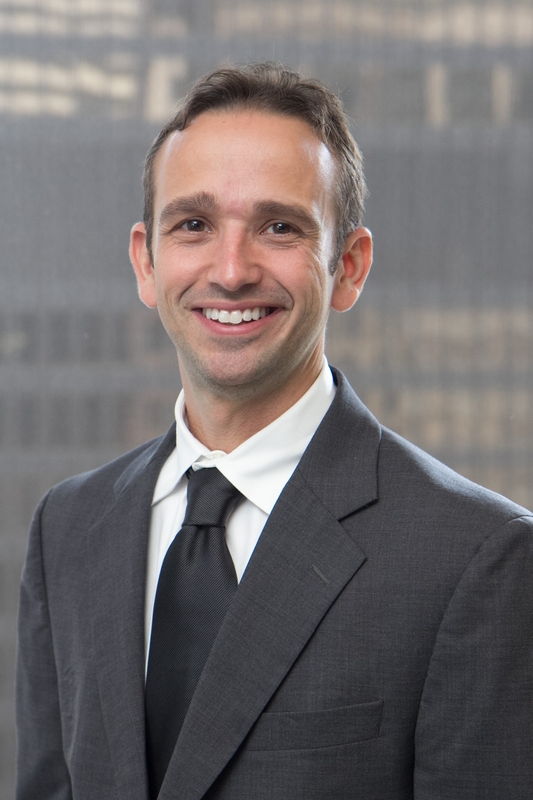 Dominic Diorio joined the Cook County Land Bank Authority (CCLBA) in 2015 as an Acquisitions Specialist, with 15+ years of experience in real estate, distressed assets, delinquent tax properties, construction budgets, and contract negotiations. Dominic specializes in evaluating and acquiring property for the CCLBA. Dominic has managed all phases of the asset management process, including marketing, acquisition, and disposition. While working with a majority of major banks and various municipalities, he’s also provided comprehensive data and analysis for in and out-of state-investors for single family, multi-unit, and commercial properties. Dominic holds a Bachelor of Arts in English and is a licensed Illinois Real Estate Broker. Dominic has been featured in Chicago Realtor Magazine and Illinois Realtors Magazine. Mustafaa Saleh currently serves as the CCLBA’s Asset Manager, and is responsible for managing all property acquisitions and holdings within the Land Bank. 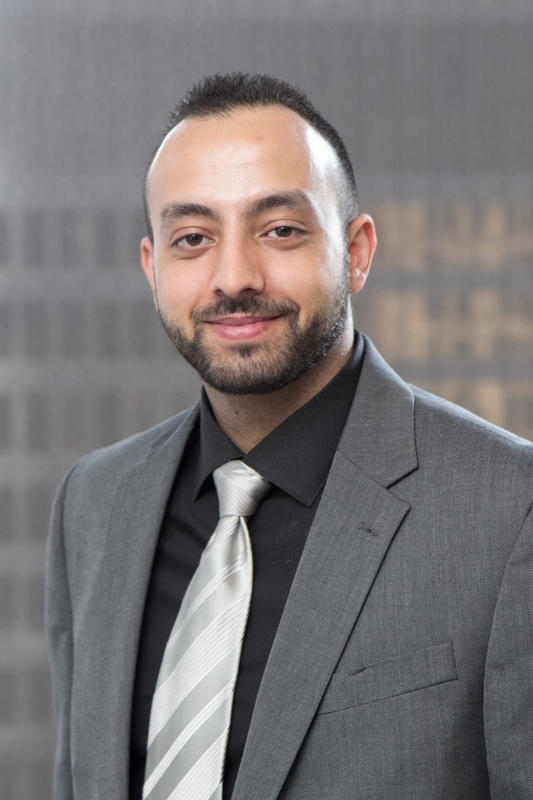 Prior to starting with CCLBA, Mustafaa was a Portfolio Manager for Galaxy Properties where he oversaw residential and commercial assets, conducted risk assessments and profitability analyses. He managed property maintenance, facility projects, and new construction projects. Mustafaa managed projects with contractors to ensure cost effectiveness and expedited completion. From 2010-2012, Mustafaa was with JPMorgan Chase where he developed growth strategies through financial assessment and process optimization. He promoted marketing campaigns and developed employee selling strategies to acquire and retain new business. Mustafaa holds a Bachelor of Science in Finance and Consumer Economics from the University of Illinois at Urbana-Champaign. Elisha Sanders joined CCLBA as an Acquisitions Specialist, responsible for specializes in evaluating and acquiring property for the CCLBA. Elisha joins us with over 16 years of banking experience in corporate and commercial (investment) banking. Elisha has worked with major and community banks in various roles throughout the loan cycle—originations, monitoring performing and non-performing loans, foreclosures along with the acquisitions of bank owned property. Elisha strong real estate background, interpersonal skills and knowledge of the community will be invaluable in helping CCLBA make a positive impact on ensuring the mission of CCLBA is accomplished. She also possesses a passion for providing value to the community. Elisha holds a B.A. in Business Management from Robert Morris University, experience in Grant Writing and she is currently pursuing a Master’s degree in Urban Planning and Policy at The University of Illinois at Chicago. Claudette Shivers joined the CCLBA as a closing specialist with 8+ years’ experience in real estate, delinquent tax properties, REO and distressed properties. She is responsible for assisting with the process of obtaining and drafting the legal documentation for the property acquisitions and dispositions. Claudette has managed all phases of the closing process from getting transfer tax stamps to obtaining deeds for the client. Throughout her career, in real estate she has successfully closed on over a 1000 properties. Claudette began working for the County in January of 2015 as a paralegal in the labor division of the Bureau of Human Resources Department. Claudette has a Bachelor’s Degree in Business Administration from the University of Chicago and a paralegal certificate from South Suburban College, an ABA approved program. 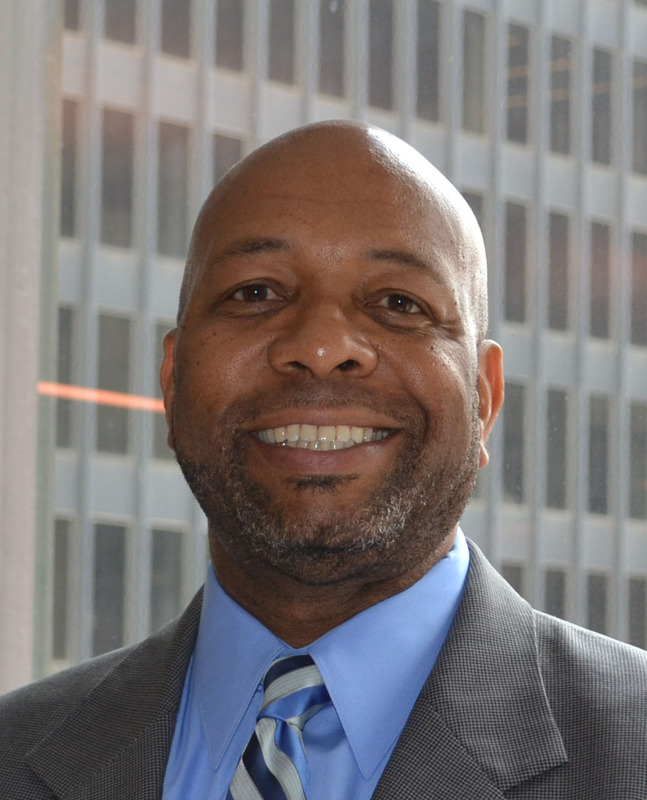 Gene Kelley started with Cook County Land Bank Authority in April, 2017. As an Asset Manager, Gene oversees the preservation of properties acquired by CCLBA until they are sold to an end user for revitalization. Once sold, Gene monitors the rehabilitation construction of the properties to ensure CCLBA’s standards are being upheld. In addition, Gene coordinates and supervises the demolition of blight structures acquired by CCLBA. Prior to joining CCLBA, Gene spent 14 years with Standard Bank and Trust Company in various roles. Most recently, he managed Standard Bank’s portfolio of REO properties where he was charged with preservation and disposition of the assets. He also performed draw inspections on a number of Standard Bank’s construction loans. Gene holds a Bachelor of Science in Business Administration from the University of Illinois at Urbana-Champaign, as well as a Certificate in Construction Management from Purdue University Northwest. Cindy joined CCLBA in April, 2017. As a Program Specialist, Cindy provides diverse support to the Senior Acquisitions Manager and Asset Managers. As a Program Specialist, Cindy will assist in the coordination, and execution over dispositions, administrative, advisory and is the personal representative / liaison for bridging issues of common concern between staff and management. Cindy will also work closely with developers ensuring all guidelines are met. Cindy joins CCLBA with over 15 years of solid administrative and accounting support in both corporate and not-for-profit sector. 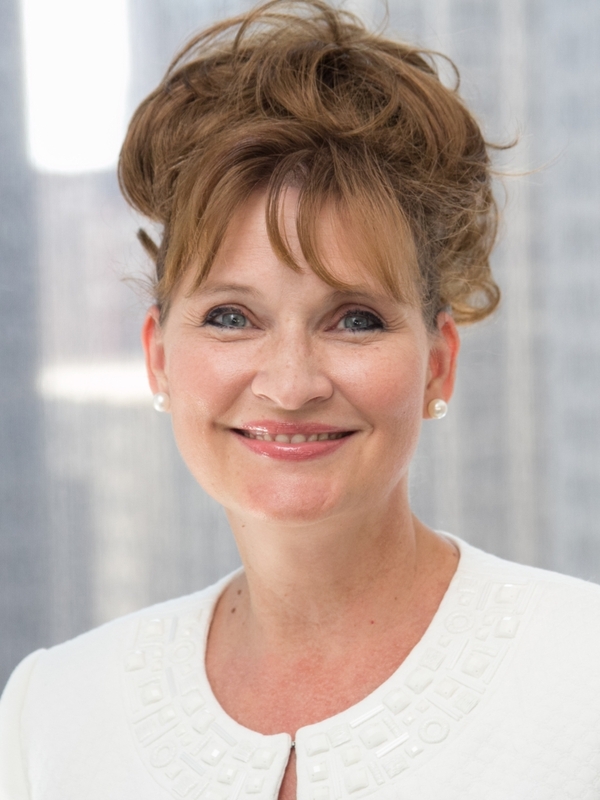 Cindy holds her Masters of Business Administration from DeVry Keller Graduate School of Management, a Bachelor’s of Science degree in Management from Chicago State University as well as an Accounting certificate from South Suburban College. Tony joined the CCLBA in May 2017 after serving the real estate community in various positions over the last 20 years. His most recent endeavor was the creation of a real estate company where sales volume grew to $30 M in 8 years. Prior to entrepreneurship, Tony worked for Fannie Mae as their Middle Regional Field Specialist, covering 11 states within the National Property Disposition Center. For over a decade, his duties included: REO vendor management, field quality control oversight, property valuation, and marketing issues. Tony prides himself on, “improving communities one home at a time,” and sees the CCLBA as a broader platform to continue his mission driven work! 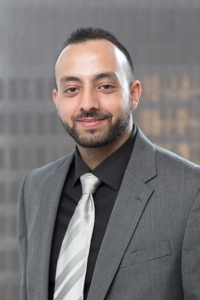 Tony holds a Bachelor of Science in Finance from the University of Illinois at Urban-Champaign, and is a licensed Illinois Real Estate Managing Broker. 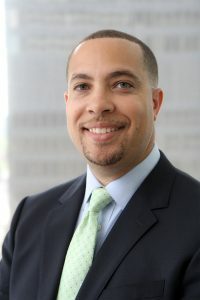 Daniel Taylor joined CCLBA as an Asset Manager in July 2018. He is responsible for overseeing a portfolio of real estate assets acquired by the Cook County Land Bank Authority. 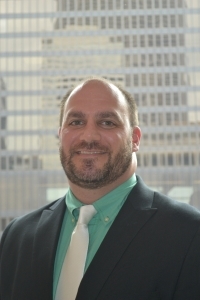 With over a decade of banking and real estate experience, his professional career includes non-profit community development, retail bank branch development, commercial lending, and REO asset management. Daniel comes to CCLBA from Seaway Bank and Trust Company where he was a Special Assets Officer responsible for managing the financial performance and providing asset management for non-performing and REO assets in Illinois and Wisconsin. Daniel also provided revenue and expense analysis from asset dispositions and detailed forecasts for optimal sales performance. Daniel is a strategic leader with proven ability to identify operational weaknesses, restructure processes, and improve performance inefficiencies. Daniel is currently working on a Master of Science in Business Analytics from DePaul University. He holds a Bachelor of Science degree in Finance from DePaul University and is a licensed Home Inspector with the State of Illinois.